Junior Stanislas is looking to progress as a player and help bring success to Bournemouth after signing a new deal to keep him at the club until 2021. The 28-year-old former England Under-21 international has scored 19 goals in 86 first-team outings for the Cherries since joining from Burnley in 2014. I just try to do my best every time I get out on the pitch and help the team, whether that be assisting goals, scoring them or contributing to the team’s success. 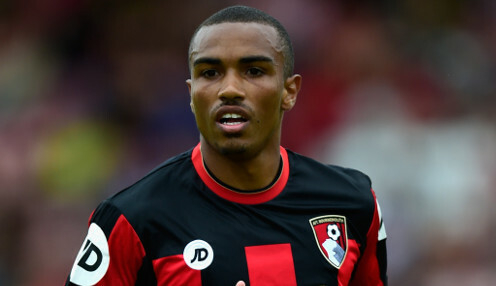 Stanislas has become a key man in boss Eddie Howe's plans, although he is currently working his way back from a knee injury which he suffered in April. However, the former West Ham wing man's new contract extension has provided him with a lift to get fit as soon as possible and return to the first-team squad, which has made a decent start to the new season with two wins and a draw from their opening four games. "It's a nice feeling to get rewarded for some good work over the last couple of years," Stanislas told the club website. "As soon as it was there I wanted to get it signed and then get my head down and start focusing on improving over the next few years as well." He added: "I just try to do my best every time I get out on the pitch and help the team, whether that be assisting goals, scoring them or contributing to the team’s success. I plan to do that again this season, and maybe take it to another level." Bournemouth are 66/1 to secure a top-half finish this season, while the are available at 2/1 to finish the top southern club ahead of Brighton and Southampton.